In the 1970’s Paul Cunningham, owner and operator of ES&D, had a need to power his off-grid house. He set off on a mission to create an efficient and reliable micro hydro machine. Utilizing a car alternator type micro hydro machine and the wheels he cast himself, he created the first machine. Through many hard-working days and design changes he was able to produce very efficient pelton and turgo wheels and sold these wheels to other enthusiasts. 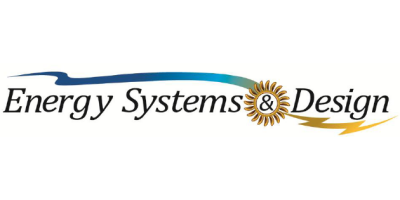 35 years later Energy Systems & Design is one of the top producers of quality micro hydro energy machines. ES&D prides itself on using only the best components and building the machines in-house in order to maintain the highest levels of quality. With machines all over the world, ES&D has achieved international recognition for being a leading manufacturer of efficient and reliable micro hydro machines. After years of consistently improving the design he was able to create a highly efficient machine that was producing increased levels of power. It had become obvious that anyone with a suitable water source could be producing their very own renewable energy. With this idea in mind Paul established Energy Systems & Design in 1980. Our staff are experts in the field and are always willing to answer any questions you may have about micro hydro power. Please explore our website and find out more about the world of micro hydro and how you can start producing your own renewable energy.